Unpaid caregivers are defined as individuals who care for someone who needs assistance with their daily routine activities. They represent an estimated 4-5 million Canadians who are caring for a loved one, full or part-time. These caregivers are primarily immediate family members, such as a spouse or child. Far too often, when a family member reaches a point of age-related difficulties in their daily life, a close family member steps in to assist them. In the case of spouses or grown children, there is often a feeling of duty involved. Unfortunately, many of these caregivers are already employed; have a family of their own; lack the expertise required; or lack support for respite care. Most unpaid caregivers assist a loved one with daily routines, such as household chores, dressing/bathing, daily outings, and look after responsibilities such as bills and finances. It is not until the individual they care for requires more specialised/medical care that a caregiver will start to look for professional help. The burden on unpaid caregivers is not always easy to measure. Financial sacrifices, the long hours, stress, a high prevalence of depression, personal neglect due to limited self-time, limited time to spend with other family members, and risk of burnout are all serious concerns that most caregivers will need to deal with. 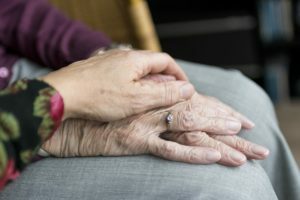 If there is a sole caregiver bearing the entire host of duties, with no support for respite care, it can all be too much. In these cases, it is not a stretch to claim that both the caregiver and the individual they care for may suffer. The best situation for each family is different. Of course, there are great rewards in being able to provide care for your family, but it is important to do what is best for everyone, including yourself. A professional caregiver may be able to supply the more strenuous duties and the round-the-clock hours you require, so the time you do spend with your loved one is more valuable and enjoyable for both of you. If you know someone who is struggling to cope with their caregiver duties, give us a call for a free, no-pressure conversation about what other options are out there.